Over the life of this blog I have been trying to figure out the director Peter Sellars, and after all these years I want to try to do a full essay on him. It turns out there are two of him: Peter Sellars the opera director and Peter Sellars the librettist. He has directed other things not opera, but this discussion will limit itself to Peter Sellars in the classical music world. He is America's foremost representative of the Regietheater movement. creating an interpretation that emphasizes modern day issues. It might be important to remember that as an undergraduate he did a puppet version of The Ring. My next experience with the work of Peter Sellars the opera director probably dated from his 1990 filming of the Mozart-Da Ponte trilogy which played on PBS. In the Sellars' Don Giovanni we are among the American urban lower class in the 60s. People shoot drugs and sniff cocaine. You may and probably should view this here, here, and here. I should probably watch it again myself for Lorraine Hunt Lieberson as Donna Elvira if nothing else. Leporello and the Don are played by twin brothers. At the time it was very shocking and caused an enormous stink. But isn't that the problem with Don Giovanni? That it just isn't shocking enough. The other two operas in the trilogy were not nearly this shocking. Can I write about stagings I have not seen? After his wildly popular, at least in Europe, Mozart-da Ponte trilogy, he staged Saint François d'Assise by Olivier Messiaen at Salzburg in 1992. There's a film about this but not of it. He says, "Anything that finally matters doesn't appear in the plot synopsis. So this history of staging the plot synopsis is one of the things that has made opera so intellectually inert and dull and expressively limited. And opera becomes incredibly expressive just as soon as you forget about the story and try and stage the music." I would go with a statement that said: what does this opera express? Stage that. Don Giovanni expresses exploitative sexuality; Nixon is just people out of their context; Klinghoffer expresses that terrorists are people, too; L'Amour is about love conquering all; Griselda is about men treating women badly, or maybe it's just about singing; Matthew Passion is about the life and death of Jesus; Clemenza is about forgiveness; Theodora is about the life and death of a Christian; Saint François is basically the same with vastly more complex music. Clearly the staging works best where the message is clearest. You may feel free to hate my simplified summaries. This vision statement I quoted above may explain everything. I think if you are staging an existing opera, you need to focus on enhancing its musical expression within the delineated characters. But generally when you are composing an opera, the libretto is usually slightly ahead of the music. There must be a vision of the opera before the composer can write it. That's my idea anyway. This is an excellent record for any director. I will add to this list where I can. Next is Giulio Cesare. Clearly he follows the first rule of Regietheater: everyone will wear post WWII clothing. Stuff you can buy in a department store or thrift store. They will look like people you know. This is key. There is one thing that he does that I can think of no one else who does. Claus Guth took all the spoken dialog out of Fidelio and replaced it with groans and sound effects, but he left the music alone. We are living in the era of reconstructing old scores to accurately represent their eras and original condition. Doctor Gossett called this a critical edition. Peter Sellars consistently changes the score, sometimes adding from somewhere else, sometimes cutting sections, in order to reflect his vision. Academicians will object to this, especially the adding part. 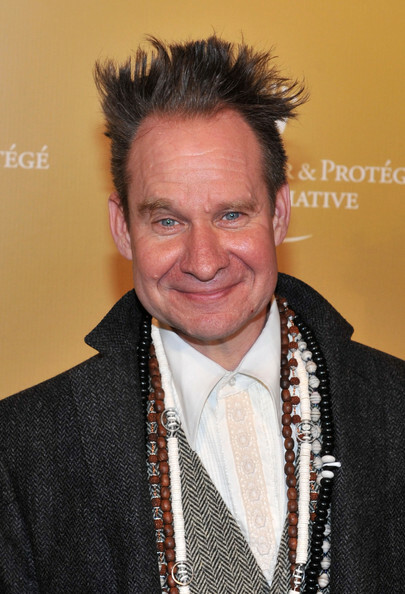 Which brings us to the other Peter Sellars, the librettist. After the stink that surrounded The Death of Klinghoffer, Alice Goodman abandoned her career as an opera librettist, or it abandoned her. Her libretto for Nixon in China was very successful, but no one was willing to forgive Klinghoffer. She began working on Doctor Atomic with Adams, but withdrew after a while. Adams was used to working with Peter Sellars by then, and he took over the task of librettist. As a librettist, it is not possible to add or subtract from the score or the original theatrical concept because one is the person creating it. One may do what one wishes. The John Adams/Peter Sellars operas are El Nino (2000), Doctor Atomic (2005), and Girls of the Golden West (2017). I began blogging about his direction with the premier of John Adams' Doctor Atomic at the San Francisco Opera in 2005 where Sellars wore both librettist and director hats. Some of the work was done by Alice Goodman, but she bailed somewhere around mid way. Perhaps around the beginning of Act II. Added to this trio of collaborators was the boss Pamela Rosenberg who thought of it as a Faust play. I think it is this mish mash of influences that muddies the plot here. Other people's ideas about Faust seem to be different from my own. It's true that Faust was an intellectual, a scientist, but his soul was clearly not threatened by this fact. It was threatened by the fact that in old age he began to regret wasting his life with serious efforts instead of having fun. The devil immediately pops in to offer other activities that might attract his attention. In short: science is the good path, seducing women and debauchery is the path to hell. Please, Faust, take one of these and love it. Wearing lab coats is irrelevant. But this is a side issue. Apparently Rosenberg did not win the argument. In the first half people came out and spoke to the air. The first part of the opera was OK if somewhat static, but the entire second half was empty. We waited and waited, and there wasn’t even an explosion at the end. This was supposed to represent time moving slower and faster, but remember I am the person who never reads the program before. If that's what it means, show me. Doctor Atomic was significantly changed when it played at the Metropolitan Opera in 2008. This version was directed by Penny Woodcock. The empty act II was filled out with action. So here Sellars wore only the librettist hat. I am still unclear about the meaning of this opera. What does it mean that a man reads John Donne who searches for God while simultaneously developing the largest bomb ever seen on earth, a bomb destined to kill thousands in Japan. This is the story I wanted to see and did not. I wanted to see the conflict of good and evil. This season I saw in San Francisco Girls of the Golden West . The text is yet again assembled around a structure provided by letters of Louise Clappe with the pen name Dame Shirley. There are many other sources. I was again missing a sense of clear narrative, though this doesn't seem to have been fatal. Dame Shirley is telling stories about her experiences during the gold rush, which is a kind of narrative. If there are other operas by John Adams on librettos by Peter Sellars, I have not seen or reviewed them. I didn't get the impression from anything I have read or heard about these works that Peter Sellars actually wrote any of the words sung from the stage. I believe he only selects and assembles them. So if you get the impression that no one is speaking to anyone else, it's because the words came from something written down by people not named Peter Sellars and never attempts to simulate conversation. Glass successfully writes operas in Sanskrit and ancient Egyptian and still does not make you feel lost without a sense of narrative. What does this opera express? Then include structures and text that accomplish that. You may also have noticed that the narrative never quite gels. An Oratorio like Messiah can be assembled, but no staging is implied. Assembling a text in English, generally the language of the audience, made up of literary texts never intended to represent conversation or action is a problem. No amount of moving people around is going to make up for the fact that the words were never intended to be theater. For me this requires that the action be absolutely clear. Clearly Mr. Sellars' operas haven't given me the sense of genius that his work on other people's operas have.